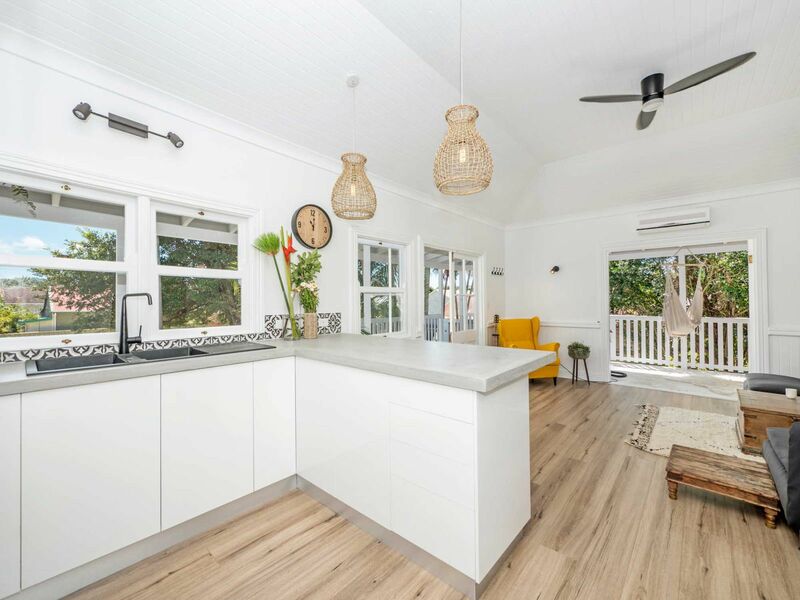 All will agree that this character, high set home has had a stunning rebirth and is sure to inspire, delight and excite you upon inspection. No expense has been spared in transforming this vintage home into a stylish, modern hive with the all the character still on show. 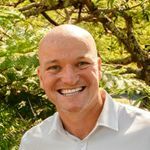 Now situated on its own spacious, north facing block with a beautiful shady strangler fig tree in the corner, this well proportioned hardwood timber home has 2 bedrooms and 1 bathroom with separate toilet. 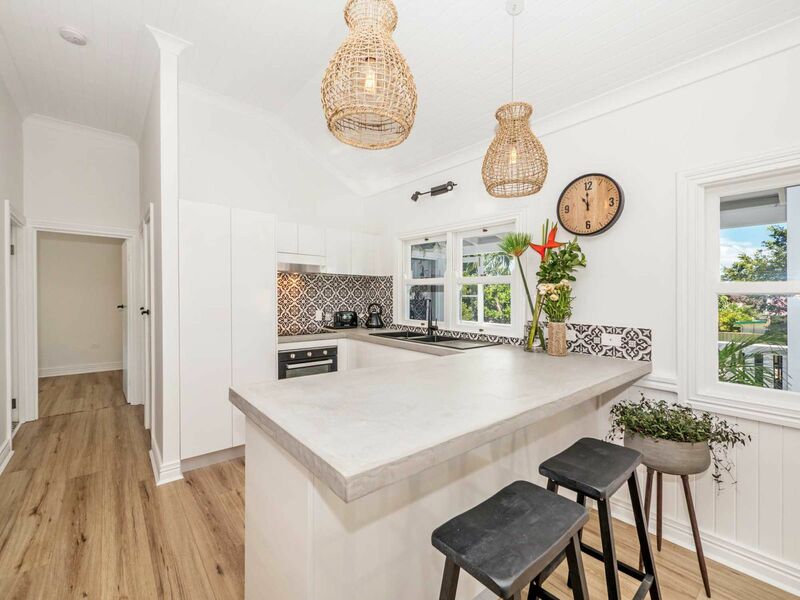 Fully updated and refitted throughout with amazing attention to detail that will leave you savouring the beautiful space and design that this home now exudes. 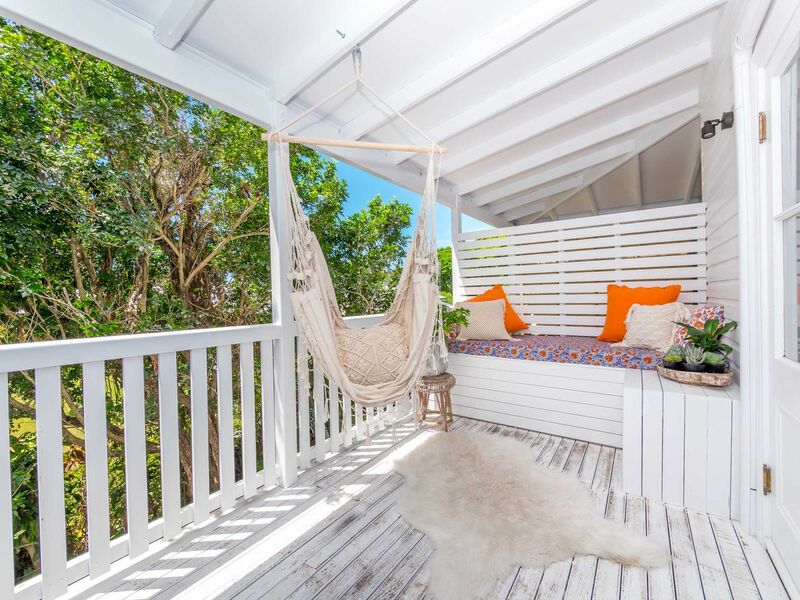 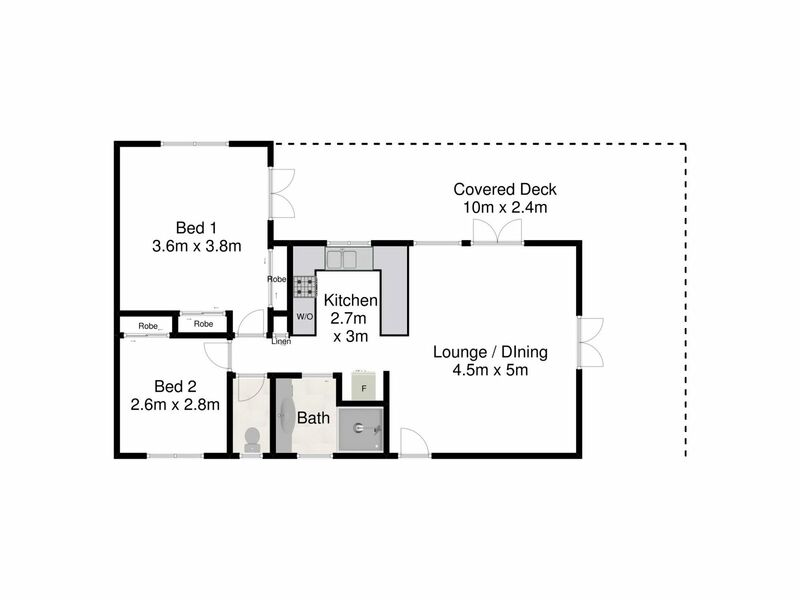 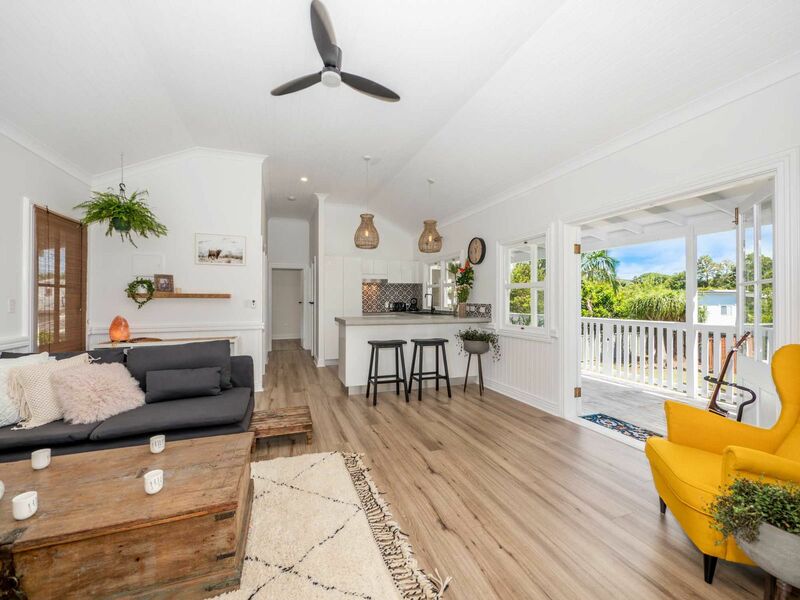 From high timber lined ceilings in the open plan kitchen and lounge area to the master bedroom that sweeps effortlessly eastwards out onto the wide wrap around verandah, this will be an oasis for the owner to enjoy. 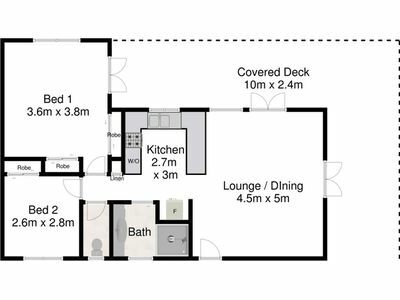 Underneath there is a laundry, open space parking and plenty of storage room that may serve as a workshop. 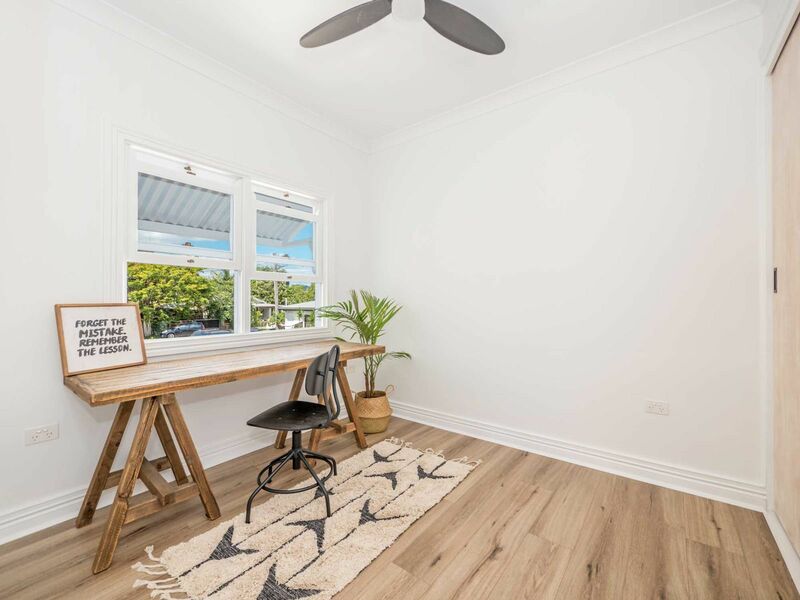 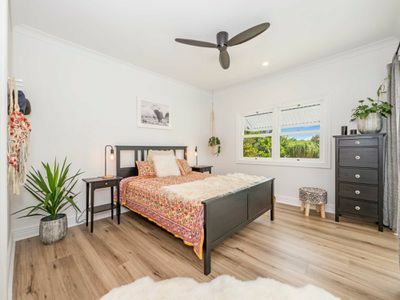 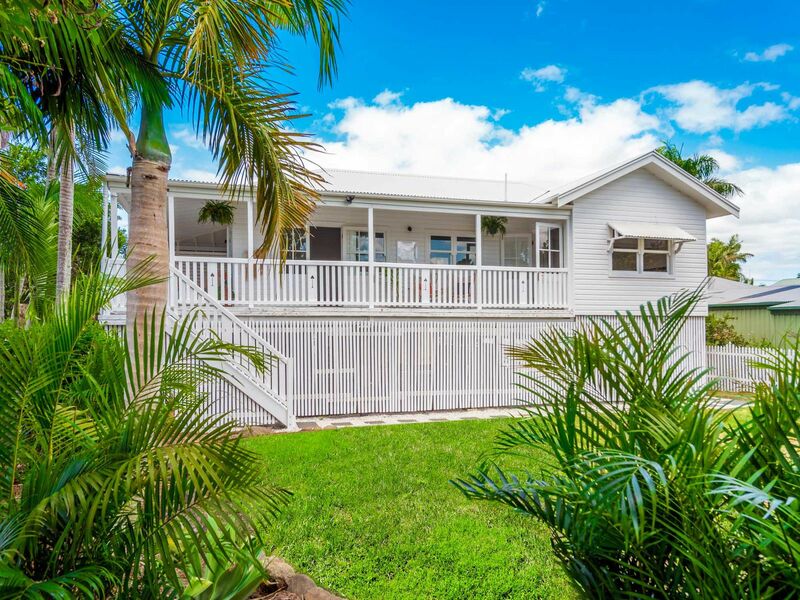 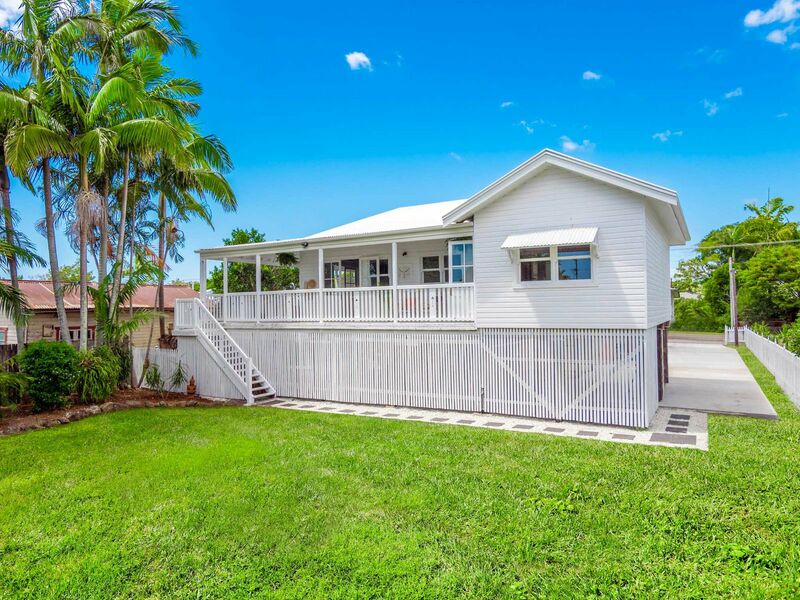 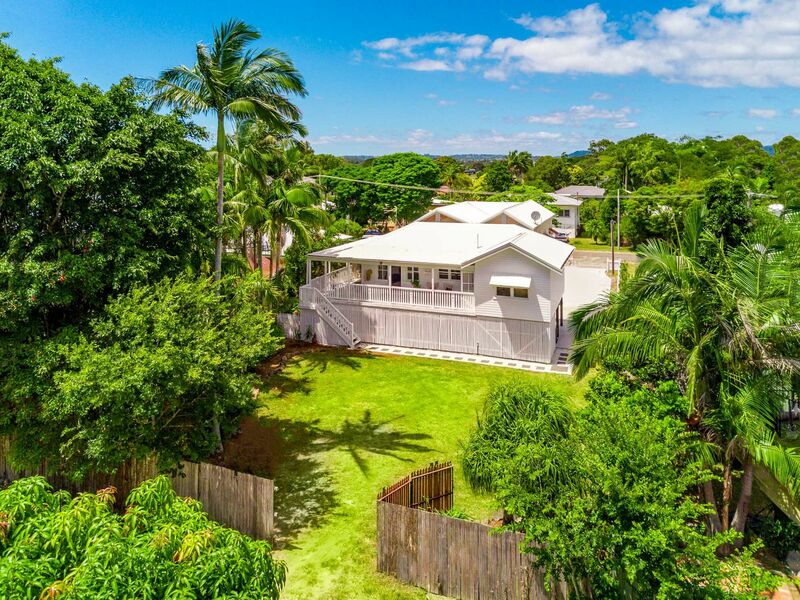 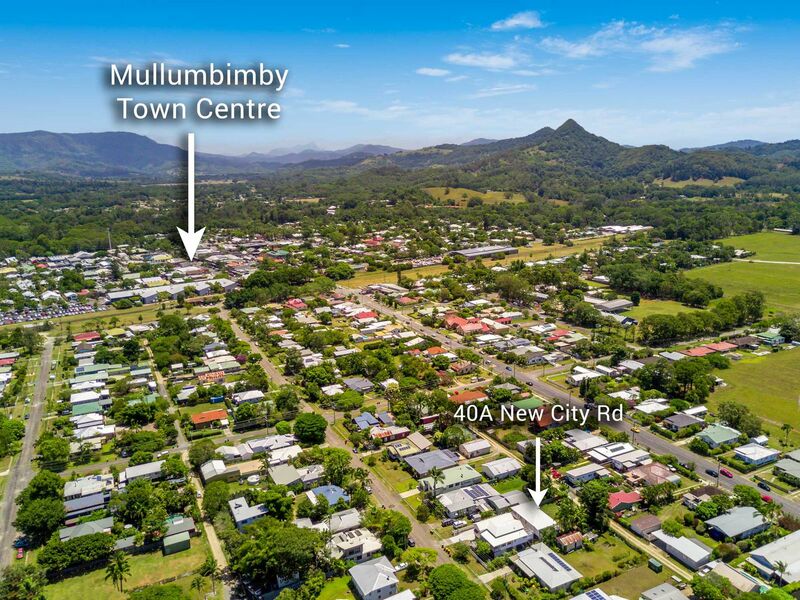 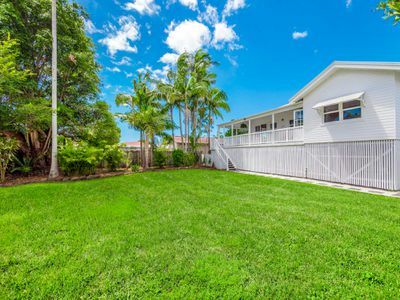 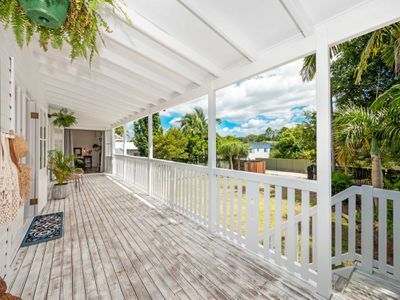 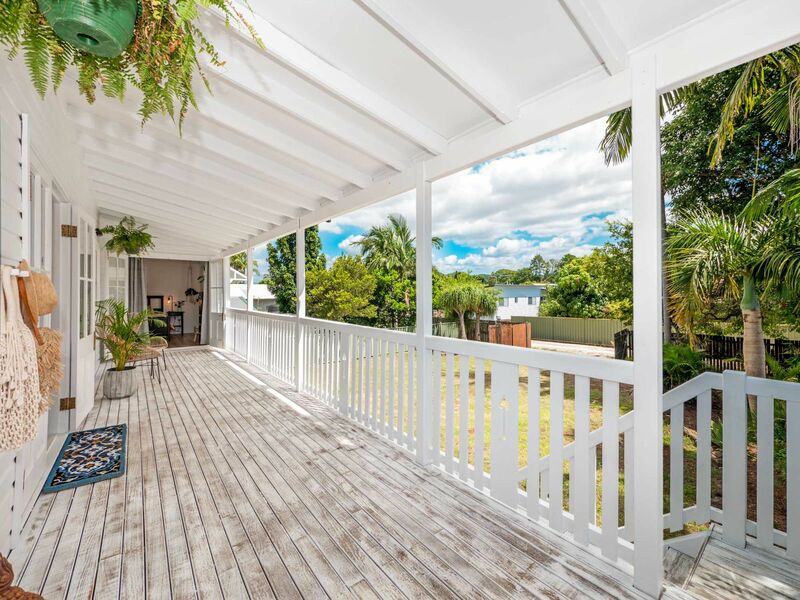 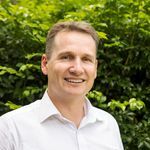 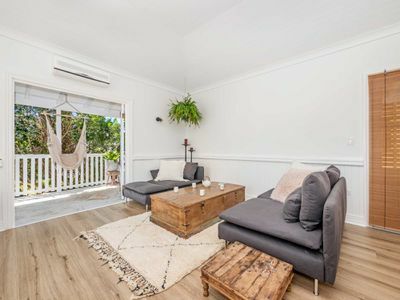 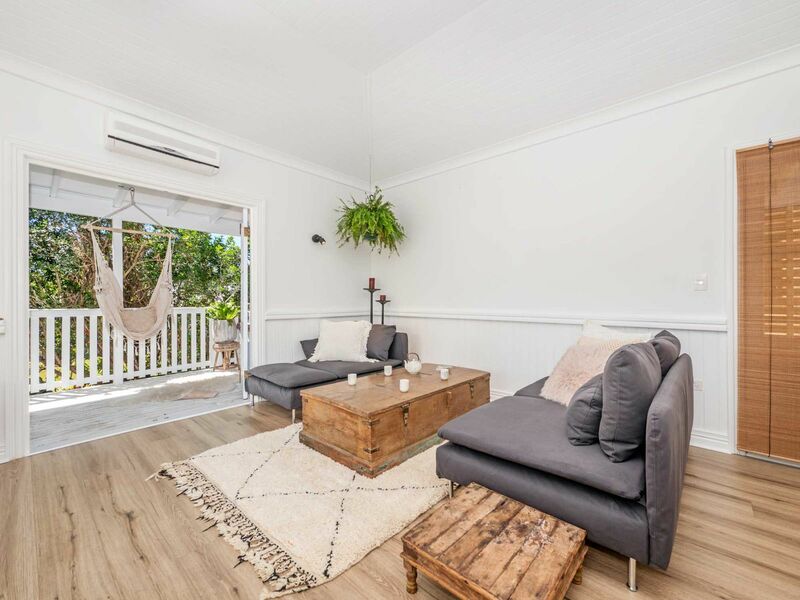 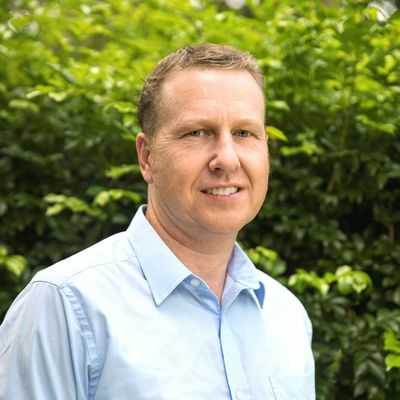 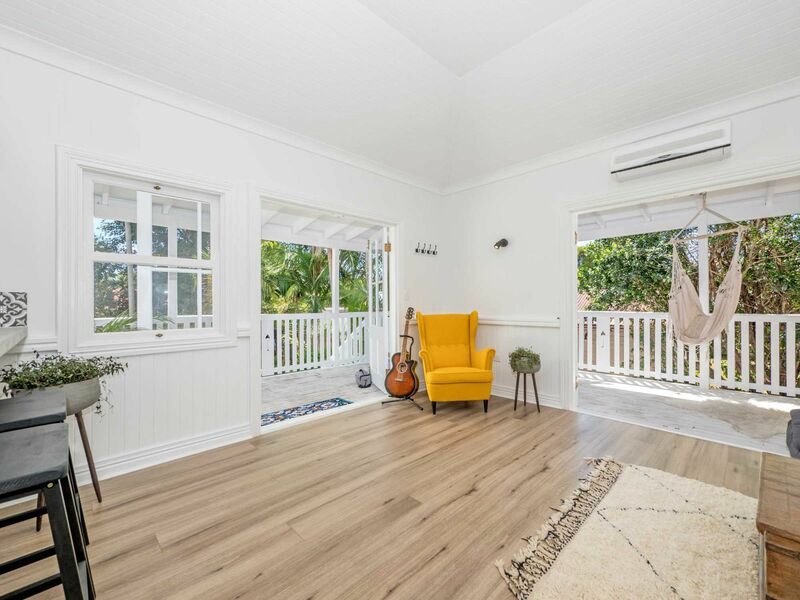 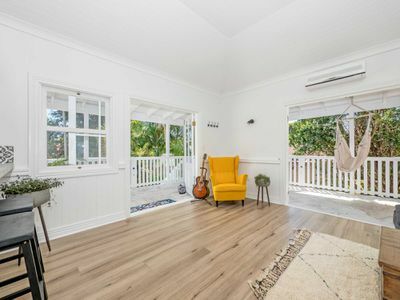 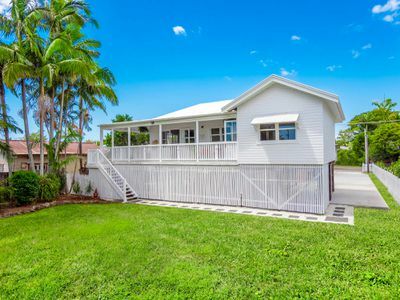 Situated so close to town on the community orientated and relaxed eastern side of the rail line, this is so central to strut to restaurants, shops and cafes and only a quick drive to magnificent Brunswick Heads and Byron Bay for your beach fix. 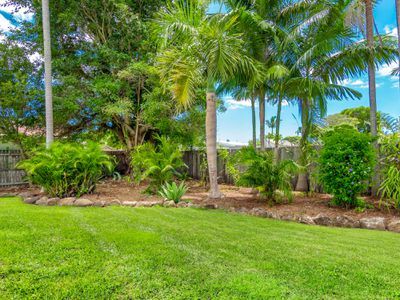 There is plenty of scope to take the landscaping to the next level with so much room in the yard for a pool, poolhouse, shed or cabana. 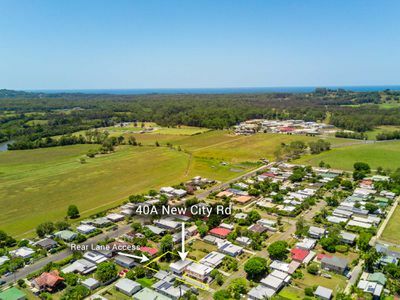 There is primary front access via a common driveway to New City Road shared with the house to the front of this strata subdivision and also access from Ward Lane. 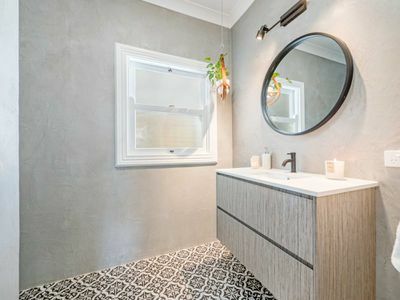 Don't let this one slip by you.